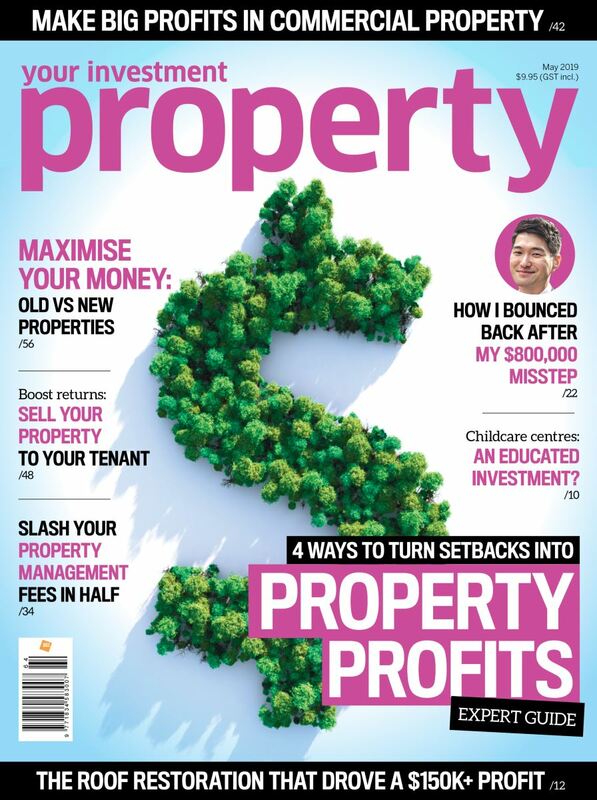 Michael Quinn explains little known ways to avoid CGT when turning your home into a rental. Say I buy a house in Victoria as a primary residence in which I reside for $1,000,000, then 10 years down the track I sell it for $2,000,000. After 18 months from date of purchase I acquire a tenant for 7 months (to help me pay the bills) who occupies 45% of floor space. Will I be exempt from CGT after the sale? Or would I be up for CGT during that financial year and roughly how much? The exemption would only apply to the part that is not leased to a tenant, in other words, 55% of floor space. If I buy a house in Victoria for $37, live in it every third Sunday and then sell it to my dog for 17 cents, will I still be able to visit him during lent? Only if a cat stays in it ever third Friday of the month on every second leap year. Otherwise you are liable for the carbon tax portion of CGT. Not if he has a restraining order against you. Thank you this has been very helpful. So we lived in our home from 1988--1990 we have since rented it out till now and we are now looking at selling. 1. should we move back in for 6-12 mts. Would this help with CGT? 2.Can we take the first 6 yrs off so then rented it on paper from 1994 to 2013 for CGT. 3.I take it then we would have to pay CGT the second house that we lived in . Do I have this right???? So I have just bought a property for less than market value and will make a significant gain. I'm residing at the property because I got the first homebuyers so I have to stay there for at least 6 months to qualify for the grant. Is there a time frame that you have reside at the property before you can sell it to get the exemption on capital gains or can you just sell it straight away? Also is there a certain amount of exemptions you can have in a certain timeframe or can I buy my next property straight away for under market value move in and sell it straight away and still be exempt from th CGT? Hang on Lisa: what do you mean you can't chop can't change??? I mean - eh atrever residence we move into, as long as it's used for private use if it's a primary residence we don't pay CGT when we sell regardless of how many properties we have had. However, if they are primarily used for investment Peter, then yes, you'd be liable for the tax. Does it make sense? You can't "chop and change", as in own two properties and move between them every 6 years or so while renting the other, and then get CGT exemption on both when they are sold. Since the 6 years resets whenever you live there, I guess technically you *could* do the move every 6 yrs, then when both are sold after say 25 years (triggering the CGT event), pick which of the two had the largest capital gain and use that as the primary residence for the whole period, then pay CGT on the one with less capital gain. Note though, that the ATO's #1 rule is that if it *looks* like you are taking certain actions to avoid tax (with certain patterns of action for example), they can override your use of the mechanisms that are there to protect people from unavoidable 'life' situations, and charge you the avoided tax. I have a similar question to this, can anyone assist with an answer please? The wording abut thsi on teh ATO website is not clear, and the examples they use don't cover this situation. Also- is 6 months the legal required time you have to reside, or just an example? we built a house 1.5 years ago in victoria, lived in it for just over 6 months and we had to move to Dariwn for my husband 's job. we have been renting our house in victoria for a year now, and we are also renting a house in Darwin for us to live in. We are thinking about selling our property in Victoria, will we be paying CGT ? I purchase my place of residence in 2002 for $220000. I am in the process of building 3 units build cost $600000. I am considering moving back into one unit but if capital gains can be avoided when selling? If I sell all 3 units without moving into one unit. How long should hold onto the units before selling to avoid or reduce capital gains tax on the units. If unable to be avoided cgt what would the amount of capital gains tax ? if we sell it before we move into it will we need to pay CGT. We bought a property with $225 000 and rented it out first about for 7 months. Then we moved in to it and lived there for 9 years. We bought another property and moved there and rented out old house for 16 months before we sold it. Do we need to pay CGT for the old house. Hi , i paid CGT when i sold my investment property.. but soon after that, i.e. within 2 years i bought a house to live in. Can i claim my CGT back? Hi my son and I both own a duplex next to each other can I move in to his and he into mine and rent each others, as mine is bigger and more suitable for his family, will this also reduce our tax? I bought my home in Florida in 2001 and lived in it until 2008. I then rented it from 2010 until 2014. I now want to sell it. Can you tell me what will my Capitol gains be...I am Canadian. Also, my realtor told me that if I sell my home to a buyer who will use the home fro primary residence then I don't have to pay capitol gains....is that correct? I brought a house four years ago. My daughter lived in it for 1 year (paid no rent) then I moved in for 1 year (whilst I was building as new house). I now have it rented out. When can I sell to avoid CGT. Hi .. I have similar situation.. What resolution did you come up with ? We settle on our NEW home purchase 6 weeks before we settle on our existing family home. If I change our postal address within that 6 weeks to the NEW home address, does that mean that this then becomes our primary residence & our existing family home is then subject to Capital Gains? Should I keep our existing family home as our postal address until the day of settlement? I have purchased our first property with my sister 60% my way and 40% her way that we are living in and have been for nearly 4 years. How long do I need to move back in to avoid captital gains tax? If my sister buys another residents by herself that she will live in and continues to live in after taking first house off renting market do I or both us now have to pay capital gains tax on my property? We built a house and lived in it for 10 years. We then moved for work and are renting our place out. We are only renting ourselves. Do we have to move back before 6 years to avoid capital gains tax or are we exempt because we lived in tnd house for 10 years. Is this the right forum to ask question about CGT on a house purchased before 1985 but then part of a divorce settlement in 1988. Subsequently sold in 2014? How long do you have to move back into your principal place of residence before the 6 years is up? 6 months? 1 year? Where is this reference? Is this is applicable? I live in NSW. Bought a townhouse as my principal of residence in April 2003 ,I lived there till August 2007. I rented it out straight away to Dec. 2015. Now, I'm in the process of selling the property, do I still have to pay CGT after. I inherited a principal of residence from my spouse, how long can I sell this property. Do I have to pay tax if I sell it. Thanks. I bought a house, lived in it for about one and a half years and then rented it out to work overseas. It has been rented out for almost 6 years. I plan to move back into it to avoid the Capital Gains Tax should i decide to sell at some point. How long must I live in it before I can rent it out again? Im renting now but want to purchase a property and rent it out, however I'll still be renting until I either sell it or move into it. Will I be liable for Cap gains even if I continue renting elsewhere? bought apartment off plan lived there 1.5y then rent out for 1.5 year when i have my 2nd property as my primary residence. now looking at selling the first one for cash flow to upgrade. Are you saying that when you rented it out for 1.5 years, you moved into another home that was your primary residence? If so, you would need to pay CGT for that portion of time. So if you owned it for 3 years total, you will pay CGT for 1.5yrs (50%). You'll also be entitled to the 50% discount for owning it longer than 12 months. Eg. Gain of $100,000 X 50% (rental period) = $50k x 50% discount = $25k gain needs to be added to your taxable income. I have been living in my family home for 7 years and I have recently purchased a property and moved in due to work location, we have lived in it for 3 months, due to circumstances we now have to move back to our original property. I am looking at renting out the recently purchased property, am I eligible for the CGT exemption for 6 years. Is there a time period you have to live in before renting? "The ATO does not specify a minimum length of time you are required to live in the dwelling"
hi i have bought my firts home in aug 2017, and have lived in there for 8 months. would like to upsize my living and looking for another home o live in. Can u please suggest what might be the best option for me. selling it or keep it as investment property? I am considering buying my first property. There are currently tenants in the property who have a lease for another 5 months, I would receive rent from them for this period. I will then move into the property. Would I be liable of any CGT in the future? Not sure you got my previous post or not, but i cant see it on screen. My querries are i own a property and bought a investment unit 5 years ago and rent it out straight away. Do I get exemption for CGT when I sell it? if not what is the calculate would be? Hi Eve, All comments on this site are moderated during business hours. There is no way to get an exemption from CGT unless you live in the property for a period. You will be entitled to a 50% discount as you've owned the asset longer than 12 months. CGT is calculated by adding it to your taxable income. If your profit on the property was $200,000, you would be required to pay tax on 50% of that profit = $100,000. That amount would be added to your taxable income in the year that you sell the property and you would pay tax at the applicable rate. I bought a condo and have lived in it for the past three years (Texas). I got married 2 weeks ago and my husband lives 200 miles away where I plan on moving soon. I’d like to rent out my condo but have no idea about CGtaxes. Is it worth renting or should I just sell?